The realisation that we are not alone in this journey towards an AIDS-free India is what keeps us going. End AIDS India is a unique collaborative national non-profit campaign. We represent a partnership of four trusted NGOs that collectively offer pan-India impact. 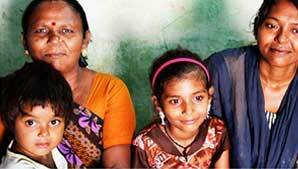 We believe working with local communities and grassroots to accelerate the response to the HIV epidemic in India. Headquartered in New Delhi, Alliance India supports sustained responses to HIV in India through capacity building, knowledge sharing, technical support and advocacy to strengthen the delivery of effective, innovative, community-based interventions to people living with HIV and key populations vulnerable and affected by the epidemic. A health and development organization based in Secunderabad (Telangana), LEPRA Society is dedicated to restoring health, hope and dignity of people affected by leprosy, tuberculosis, malaria, HIV/AIDS, blindness and other health conditions exacerbated by stigma and social discrimination. Based in Vijayawada (Andhra Pradesh), Vasavya Mahila Mandali (VMM) promotes comprehensive social, economic and political development for women, children and youth in vulnerable situations. A community-based organization in Mumbai working on the HIV response for vulnerable sexual minorities, the Humsafar Trust works for the health and human rights of lesbian, gay, bisexual and transgender (LGBT) populations in Maharashtra. 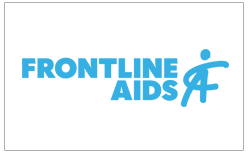 The above four non-profit organisations are members of the Frontline AIDS (formerly known as International HIV/AIDS Alliance), an alliance of 31 nationally-based, independent civil society organisations and an international secretariat dedicated to ending AIDS through collaborative community action.